A new survey by website Carbuyer found that 87 per cent of people in the market for a used car wouldn’t touch one that had been smoked in. 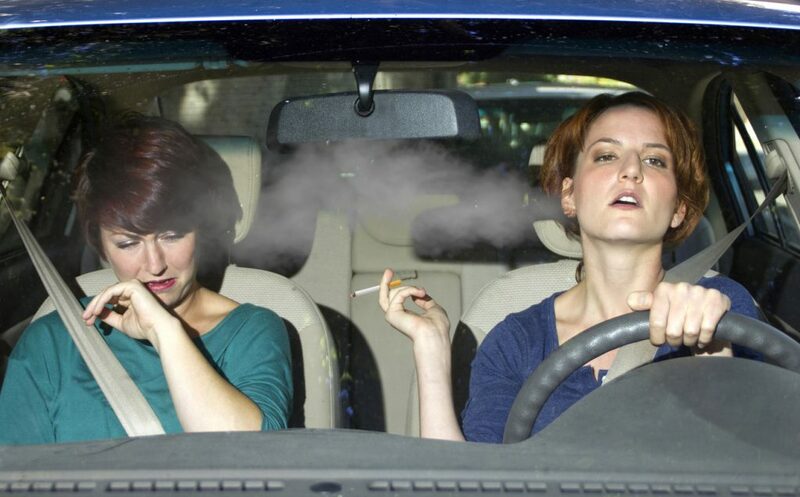 By smoking in a car, you’re effectively reducing the demand for that vehicle. And limited demand equals lower price. How does smoke damage cars? Research has shown that even after you’ve finished a cigarette, tiny particles of smoke can linger inside a car for up to two and a half hours. What’s more, when tobacco is smoked in a confined space, pollutants are more concentrated. These are then absorbed by the fabric in the seats, door panels, roof lining and carpet. Can you get rid of the smell in cars? Dealers will spend £150-£200 removing the evidence of smoke from the interior of cars. They’ll clean ventilation system filters and wash and shampoo surfaces. They’ll struggle to permanently lift the smell out of upholstery. They can, however, disguise it for short periods. There are various cleaning products that claim they’ll get rid of the smell from seats and upholstery. Air freshener manufacturers can be equally optimistic. And there are various tips and tricks that claim to do the same. Putting fresh coffee grounds in the car is one way. However, the reality is none of them do more than mask the whiff of smoke. First look at the ash tray. If it’s got burn marks in and around it, chances are the car was smoked in. But smokers don’t always use the ash trays. Try the cigarette lighter next. Does that have ash around the end? Then get your nose into the fabrics. If they smell overly of chemicals, ask yourself why. And put your nose up close to the air vents. Although it’s possible to change the filters and do a bacterial cleanse on the ventilation system, no dealer will put new pipe work in. And the smell of smoke, or at least a musty smell, will cling to this. Isn’t it illegal to smoke in cars? Yes and no. Since October 2015, it’s been illegal to smoke in a car whenever there’s an under 18 present, even if you do have the windows open. However, that ban doesn’t apply if you’re in a convertible with the roof down. And it doesn’t apply to the new generation of e-cigarettes. The fine for smoking in a car with a child present is £50. 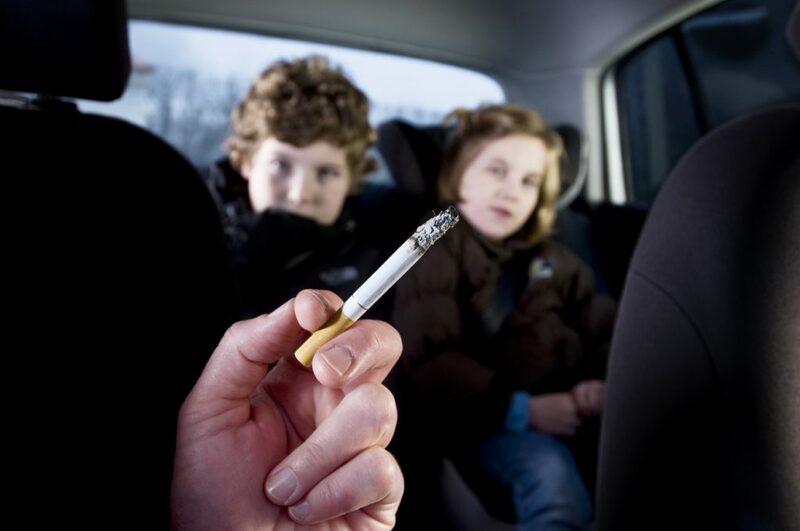 But it was reported earlier this year that there had been no fines issued for smoking in vehicles with children. The only cases where drivers had been stopped by police resulted in verbal warnings. It’s also been illegal to smoke in company-owned vehicles since July 2007. That even includes those where all employees might be smokers.